Now that the state’s gay marriage ban has been overturned by a federal judge, what happens next? In anticipation of the issuance on August 4, 2010, of a decision on the constitutionality of a provision of California’s Constitution defining marriage as solely between one man and one woman, gay rights activists scheduled protests or celebrations (depending on the ruling) for the Bay Area and elsewhere. 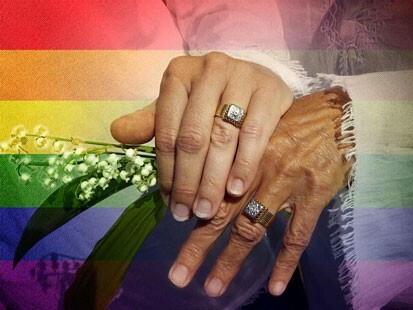 Judge Vaughn Walker, the chief judge of the U.S. District Court for the Northern District of California, issued his 138-page opinion holding the California marriage definition unconstitutional at approximately 2:00 p.m. California time, so celebrations seem likely. There has been such intense interest in the decision that the court’s principal site for posting important decisions was very busy and a mirror site was made available for it. In a nutshell, Judge Walker held that the California definition of marriage as solely between one man and one woman adopted as an amendment to the California Constitution via Proposition 8 violates the guarantee of equal protection of the laws under the Fourteenth Amendment to the U.S. Constitution and is, therefore, unconstitutional. He rejected the notion that “traditional views” of marriage are a valid basis for limiting the status of marriage to that between a man and a woman. For what little if anything it may be worth, Judge Walker was nominated by President George H.W. Bush and confirmed by the U.S. Senate on November 21, 1989, on unanimous consent. An initiative measure adopted by the voters deserves great respect. The considered views and opinions of even the most highly qualified scholars and experts seldom outweigh the determinations of the voters. When challenged, however, the voters’ determinations must find at least some support in evidence. This is especially so when those determinations enact into law classifications of persons. Conjecture, speculation and fears are not enough. Still less will the moral disapprobation of a group or class of citizens suffice, no matter how large the majority that shares that view. The evidence demonstrated beyond serious reckoning that Proposition 8 finds support only in such disapproval. As such, Proposition 8 is beyond the constitutional reach of the voters or their representatives. There have been numerous comments on Pajamas Media to the effect that Judge Walker should have given substantial weight to the views of the California voters who favored Proposition 8. I agree with most of them. However, I think the proponents blew it by calling very few witnesses with the requisite expertise compared with the massive “expert” testimony put on by the opponents. The testimony of the opponents’ witnesses appears essentially to have gone unchallenged. Unless the proponents objected to the testimony of the opponents’ witnesses, on the grounds of irrelevance, lack of expert qualification, bias or some other cognizable reason, they have little with which to challenge their testimony on appeal. I don’t have the voluminous transcript of the trial, but hope that the Proposition 8 proponents are going through it line by line; they should be. The proponents had initially provided a long list of witnesses (eighteen, I seem to recall). Then, the judge announced (improperly, in my view) that the trial would be televised. This apparently caused the proponents’ witnesses lots of concern. The Supreme Court promptly slapped Judge Walker down on that point, and the trial was not televised. Nevertheless, the proponents failed to call most of their proposed witnesses; I seem to recall that the proponents called only two. I don’t know why most of the rest were not called to testify or what they might have said, but not having them testify probably didn’t help them. When a trial judge seeks evidence one side deems patently irrelevant, that side should object, for the record; in some cases, and this may have been one of them, it should also offer written briefs articulating its legal arguments with appropriate citations to authority. If the judge is unlikely to agree it is even more important to do so. If declines to receive the briefs, so much the better on appeal. Having done so, it should offer testimony on the point (if it has any which is worth presenting at least for purposes of appeal and which won’t boomerang) while preserving the objection that such evidence is irrelevant; the trial judge is King during the trial, and making a record for appellate purposes is one of the most important things trial counsel can do, particularly in a case where there is a suspicion that the judge may be predisposed toward the other side. Should the judge have recused himself? Was he asked to do so? I am not aware that he was; perhaps he should have been. Should Black judges recuse themselves automatically and sua sponte from every case involving Blacks v. Whites? Should White judges recuse themselves automatically and sua sponte in every case involving Blacks v. Whites? Should observant Roman Catholic judges recuse themselves from every case involving abortion? Should Unitarian judge recuse themselves from similar cases? On appeal, the position taken by California’s governor that the decision was just peachy strongly suggests that the proponents won’t have his support or that of the state on appeal; nor did they during the trial. That probably didn’t help at trial and probably won’t help during the appeal either. Right now, I’d give the chances of a successful appeal a less than 20% chance of success. I’m anxious to see what both sides say, but it will doubtless be months before the Ninth Circuit rules; the 9th Circuit is not known for highly conservative decisions. If the 9th Circuit doesn’t overrule this decision or send it back down, those who oppose gay marriage on a national basis would be wise to leave it alone at that point, if they can persuade their allies in California not to pursue it. If it goes to the Supreme Court, they’re likely to end up with a decision that would decide the issue for the whole nation, as opposed to just the 9th Circuit. The issue of gay marriage is getting very tiresome. When two gay people decide to get married, it doesn’t hurt anyone else in any substantial way. To those who would dictate how everyone else must live, I would say leave your religion in church and keep your nose out of other people’s business. The broader and more important issue is states’ rights. As I’ve noted before, support for states’ rights depends on whose oxen are being gored. If there’s a substantial constitutional issue involved, then states have to give way. Otherwise, the people of the states should be able to make their own laws and live like they wish, no matter what the issue is and how many people in other states agree or disagree. Tom, well said. Even in light of the fact that lots of federal judges like to stretch the 14th amendment to its breaking point, I can’t see where there is any federal interest in this. As I’ve said before, if a pastor wishes to marry a gay couple, well, that’s the business of that Church. It really isn’t the business of even the State, let alone the federal government. I understand the issue with estates, inheritance, etc. I still don’t see it as an issue that the government should be involved in. I agree. As to estates, inheritance, etc., it’s probably best to have an up to date will in any event. As to the various state and federal benefits and penalties associated with marriage, I think they should be abolished. That won’t happen, of course. I simply don’t understand why any stigma associated with homosexuality would be diminished by gay marriage: those who think homosexuals are evil will continue to hold that view whether they a married or “shacking up” and perhaps even more so if exacerbated by laws mandating homosexual marriage. Many of our heterosexual friends are “living in a state of sin” since they are not married; my wife and I did so for quite some time before we got married. I have noticed no stigma associated with that. In fact, nobody seems to care or even know about other peoples’ marital status. It should be a private matter, and the concern of no one other than the couple involved. Life, Liberty and the pursuit of Happness.